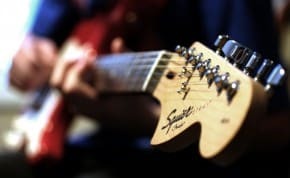 Gear Vault » Guitars » Tips & Lessons » Private Guitar Tutor vs Online Guitar Lessons – Which Is Best? Learning guitar online has become very popular these days, and as we see the online guitar lessons is becoming the wave of the future. You can compare it to the distance learning programs. 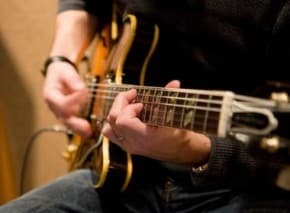 The online lessons for guitar have made it very convenient to learn, for some it can create a perfect learning environment but some may not find is as much productive as the personal coaching. Although having guitar lessons in person have its advantages, but today’s technology has made it possible to get the same experience with online lessons for guitar, the online lessons are not any less than the personal lesson when it comes to the quality of teaching. As the name says, these lessons you can get online via internet. You need only a computer system, good quality webcam, high speed internet, any free online messenger like Skype which allows video conferencing. Your internet speed and quality of webcam are two things are very important for the lessons, it can improve our learning experience or can make it a waste of time. The tutor and the students are connected through the messenger via video conferencing where you can get lessons like you are sitting in the class with your tutor. Apart from the video conference you will have the option to contact our tutor via email or sometimes through the phone. Well, the first thing I will say is “Convenience” as it’s the main ad motivating factor for choosing to learn guitar online. If you have taken any classes in the past that require active participation like aerobics, art class, or dance class, you may know the level of apprehension that is felt when going for these activities. The Online lessons for guitar allows you to learn from your home, so no uncomfortable feeling for unfamiliar locations and unknown students. You get to learn guitar from home, so no extra budget for travelling to the class. 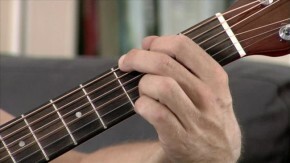 There is no doubt that taking online lessons for guitar can be a very rewarding and rich experience for anyone. With online lessons you are not limited to your location, this allows you to take guitar lessons from the best professionals no matter where you live. 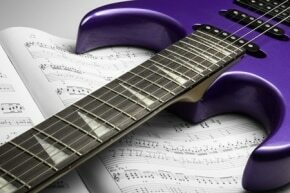 Offline private guitar lessons allow you to get tips, advice and answer of your question on the spot along with the feedback. 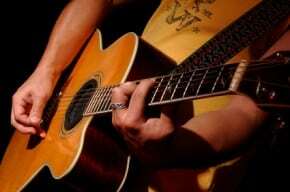 Well, you may not get such chance in few online guitar lessons. But if you are getting lessons one-on-one you will have all the facilities of private lessons. While you are taking offline private lessons, you will attend the class and will go home with the notes, but if you forget something you can call your teacher and ask outside of your schedule lesson times. But in case of online lessons, you get study material that you can watch as many times as you can. It can be a great advantage if the lesson information is presented well in the videos. Some people may feel uncomfortable joining the new class or embarrassed to take guitar lessons with the live teacher. 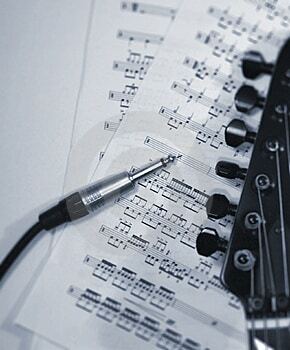 But you will not feel such things when you go for the online guitar lessons. Both can be beneficial for you, so in the end it really comes down to what is the best option for you, what you are more comfortable with. You will get the honest answer from yourself only. Also, check out this guitar chords chart, you are welcome to print it out. Good luck!